He has won prizes at more than a dozen national and international competitions, including the coveted Gold Medal from the Guildhall School of Music & Drama, Diploma of Outstanding Merit at the 8th Hamamatsu International Piano Competition, 1st Prize at the Brant International Piano Competition, Semi-Finalist Prize in the Leeds International Piano Competition, The Worshipful Company of Musicians’ Prince’s Prize, 1st Prize at the Royal Over-Seas League Piano Competition and 3rd Prize at the Concours Européen de Piano (France). He was chosen as a ‘Rising Star’ by the European Concert Hall Organisation (ECHO), and has also performed in the Edinburgh, Brighton, Chipping Campden, Bath and City of London Festivals. A frequent guest on broadcasting networks, Ashley has appeared on BBC television and radio, Euroclassical, Eurovision TV and the national radio stations of Hungary, Spain, Luxembourg, the Netherlands, Poland, Belgium and Portugal. He has collaborated with a variety of well-known conductors including Semyon Bychkov, James Judd, Vasily Petrenko, Robertas Šervenikas, Hilary Davan Wetton and Peter Stark. Ashley Fripp studied at the Purcell School and the Royal College of Music Junior Department with Emily Jeffrey and recently graduated with a Masters degree and Artist Diploma, both with distinction, from the Guildhall School of Music & Drama, where he studied with Ronan O’Hora and frequently with Richard Goode. 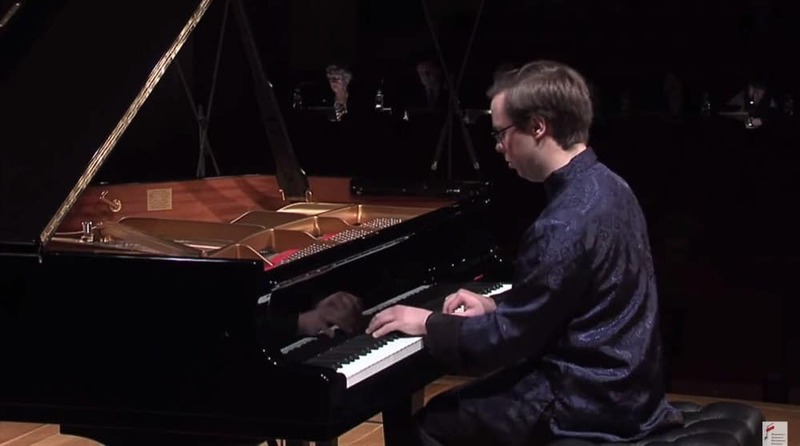 The Guildhall School also awarded him the Premier Prix and Lord Mayor’s Prize.